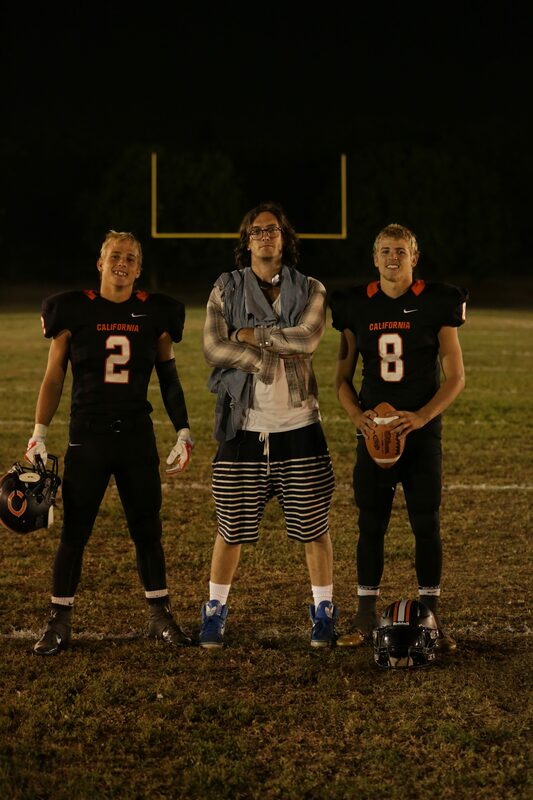 In Pleasanton, Ca., brothers Zane and Jax Pedersen are famous for leading their high school football team to glory. Like many brothers, they are rivals and best friends – their family and school is also largely Deaf. Four generations of Pedersens have played football at the California School for the Deaf, teaching visitors that they are fierce competitors on the field – and fiercely proud of their Deaf culture. ALL-AMERICAN FAMILY, directed by award-winning filmmaker Andrew Jenks, and produced by Jenks and Daniel Zinn through Andrew Jenks Entertainment, and co-produced by CNN Films and CNN Digital Studios, is streaming across CNN’s digital platforms now, kicking off a new series of digital documentary short films. ALL-AMERICAN FAMILY, which runs approximately 12 minutes, shows the exuberance and comradery of football in a suburban town, the love of a tight-knit family, proud of its young generation, and the community that comes with being Deaf. Jenks describes his passion quest in pursuing this film as having begun when he was a teenager and lived not far from a school for the Deaf. ALL-AMERICAN FAMILY premiered at New York’s Tribeca Film Festival and won the audience award for best short film at the 2015 Hamptons International Film Festival. The film is presented across CNN’s digital platforms exclusively by Volkswagen. The film will be available via CNN.com and across CNN’s mobile properties. For a preview of the film, please visit www.CNN.com/shortfilms. In future weeks, following the premiere of ALL-AMERICAN FAMILY, CNN’s digital film series will include films by award-winning filmmakers Sharon Liese and Roger Ross Williams. CNN’s inaugural series of short films launched in March and currently includes the films UBAH!, about the uncommon life of Somalian supermodel and philanthropist Ubah Hassan, directed by Joe Berlinger; RAISING RYLAND, a journey inside the transgender experience as lived by a six-year-old boy, directed by Sarah Feeley; and THE 414S: THE ORIGINAL TEENAGE HACKERS, about a small, talented group of Milwaukee teens who hacked into dozens of prominent computer systems – including the Los Alamos National Laboratory – during the early days of the Internet, directed by Michael T. Vollmann. CNN Films produces and acquires documentary feature and short films for theatrical and festival exhibition and distribution across CNN’s multiple platforms. Amy Entelis, evp of talent and content development, and Courtney Sexton, senior director for program development, oversee the strategy for CNN Films. For more information about CNN Films, please visit www.CNN.com/CNNFilms, www.CNN.com/shortfilms, and follow @CNNFilms via Twitter.